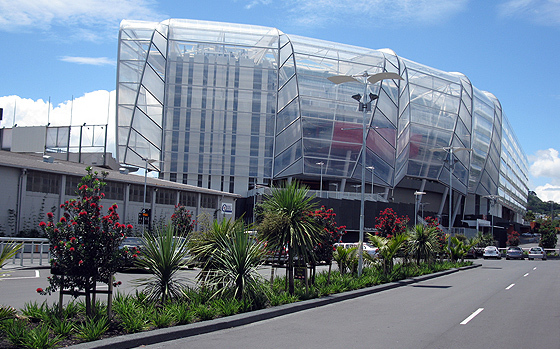 In 2011 before the Rugby World Cup, Living Earth Landscapers' Mix was selected as the mix for the raised planters around Eden Park. Great as a planting mix for massed groupings of NZ plants or in amenity areas, Landscapers' Mix is a blend from our mixing pad on Puketutu Island, scraped after the products have been made. Once screened it is surprisingly consistent in its properties, with a density that is closer to soil in texture, Landscapers' Mix has earned a justifiably good name amongst landscaping contractors for its suitability for purpose. And the Eden Park beds? - they look amazing 4 years after NZ won the last Cup there! Ideal mix for establishing NZ and exotic mass plantings and amenity horticulture beds.